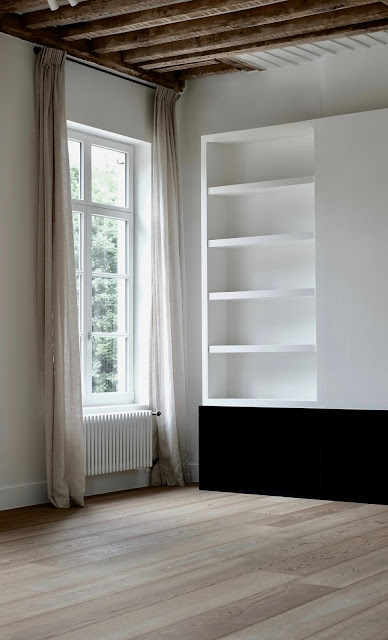 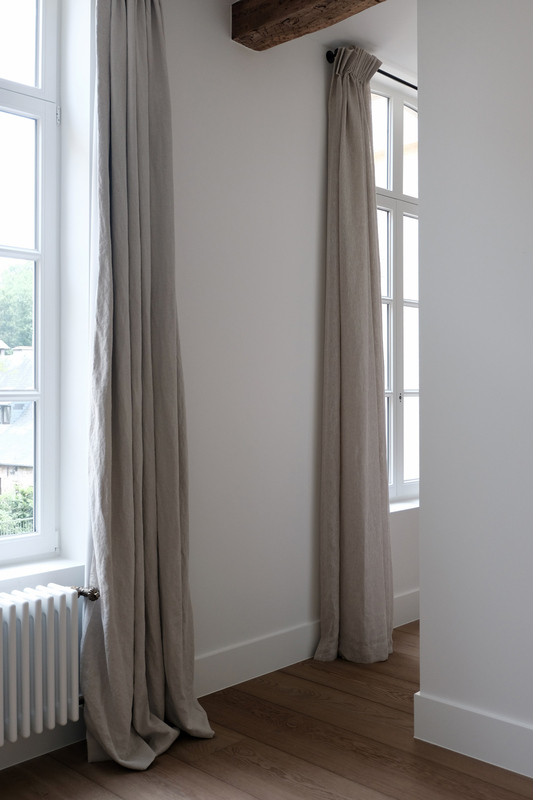 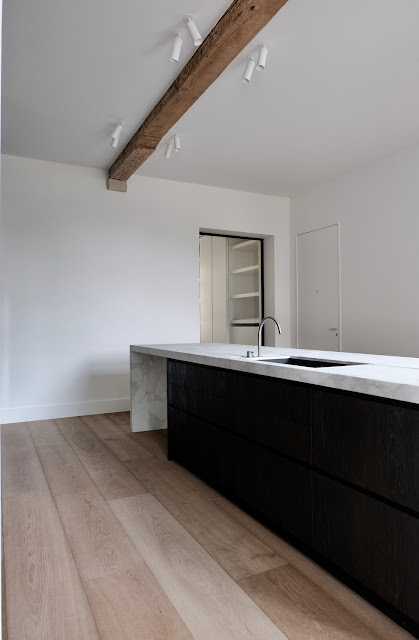 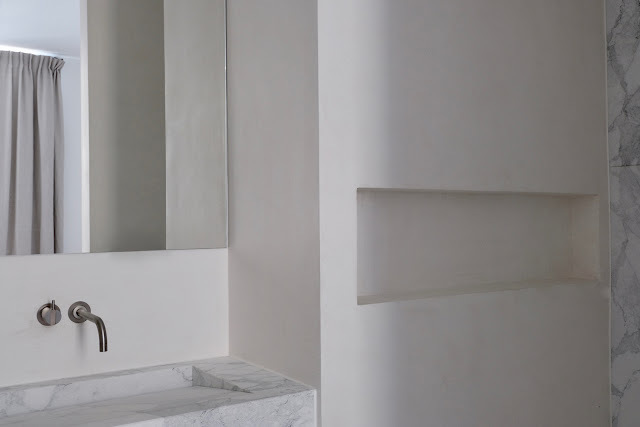 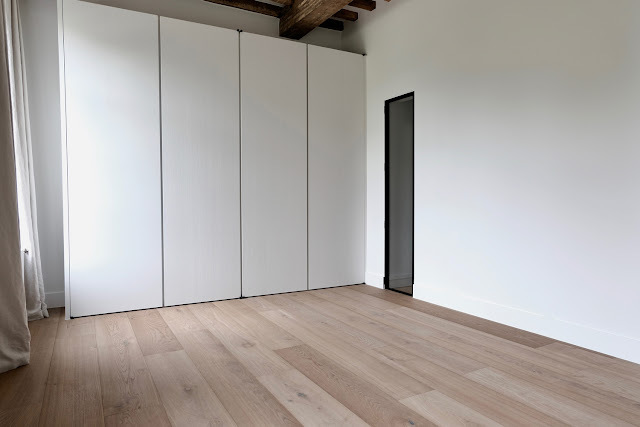 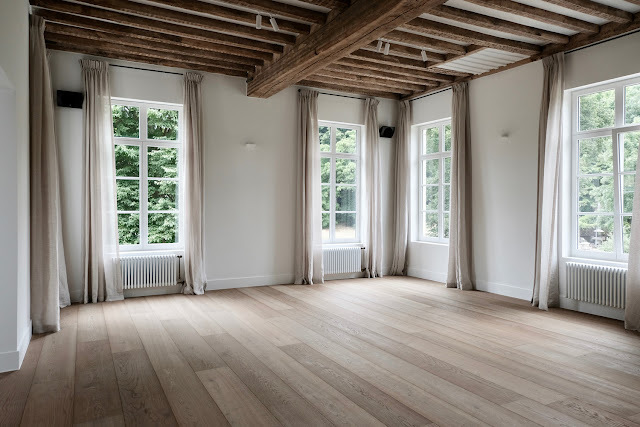 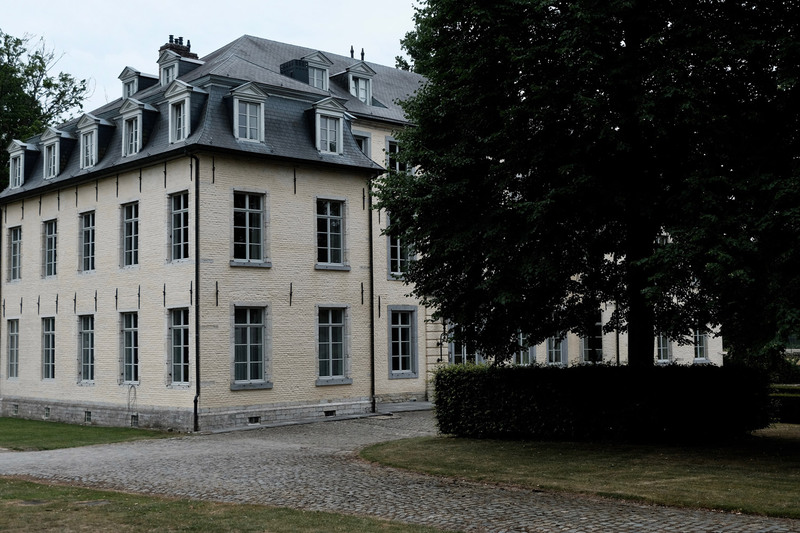 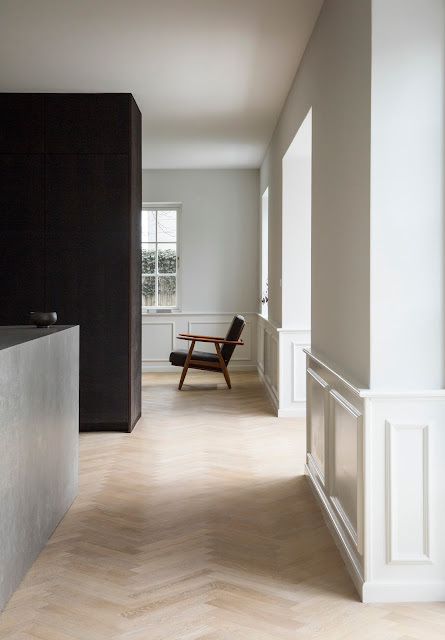 Interior designer Nathalie Goris of AIR Projects renovated an 18th century apartment in Belgium, into a minimalist hidden gem of grandeur and tranquility. A restricted palette of contemporary details merge with the restored original high ceilings and old beams, balancing old and new. 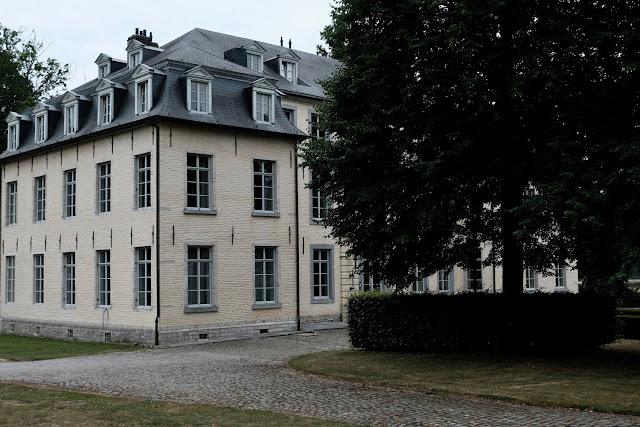 This eigtheenth-century castle apartment is a hidden oasis of tranquility as desirable today as it was 200 years ago. This spacious and bright home is a continuous joy to the family. Entering the apartment, you immediately get a sense of the grandeur of the place. 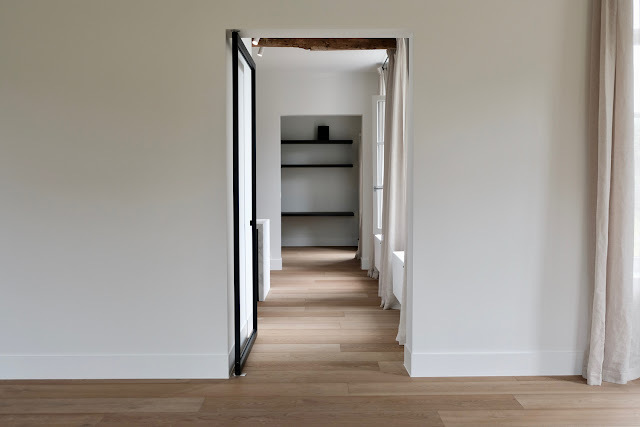 Bringing a set of rooms so firmly rooted into the twenty-first century by going to the heart of the matter and using only few materials and keeping it simple. 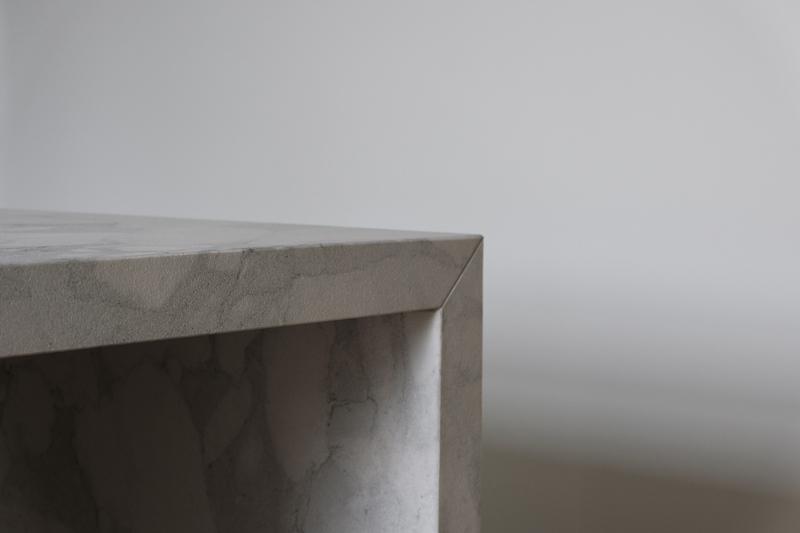 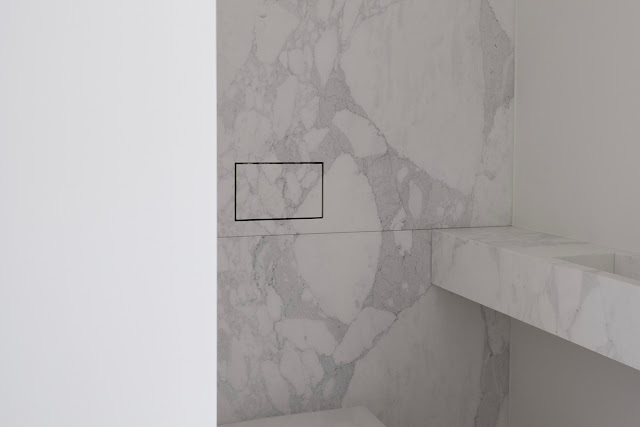 We handpicked a beautiful Calacatta marble which was used in the kitchen and the bathroom. The floors are covered with beautiful aged oak, even in the bathrooms! 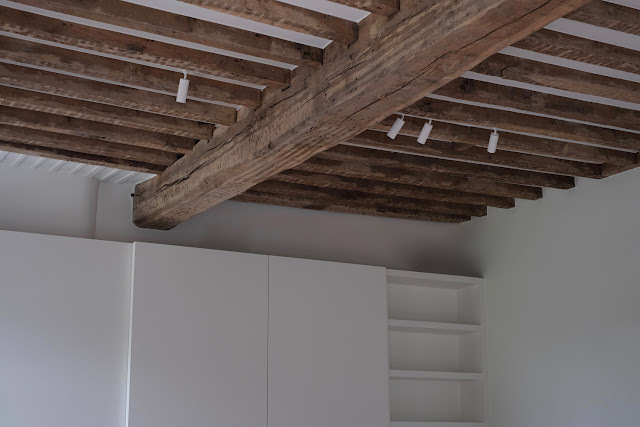 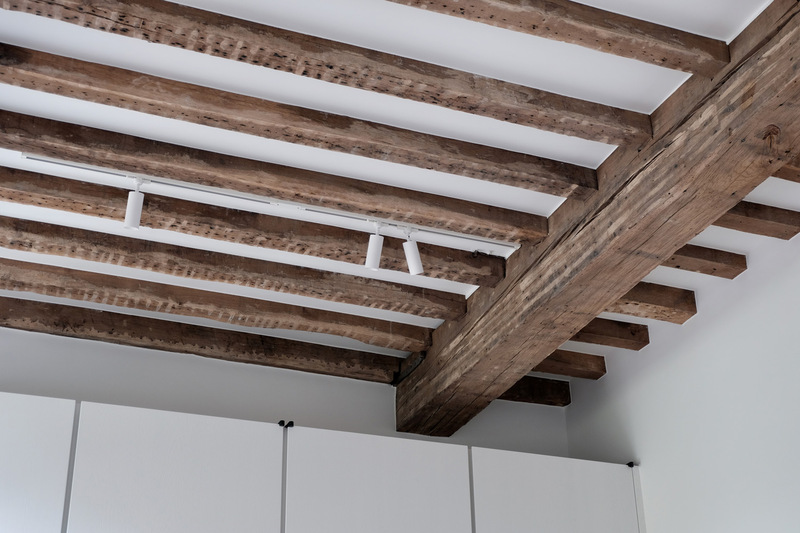 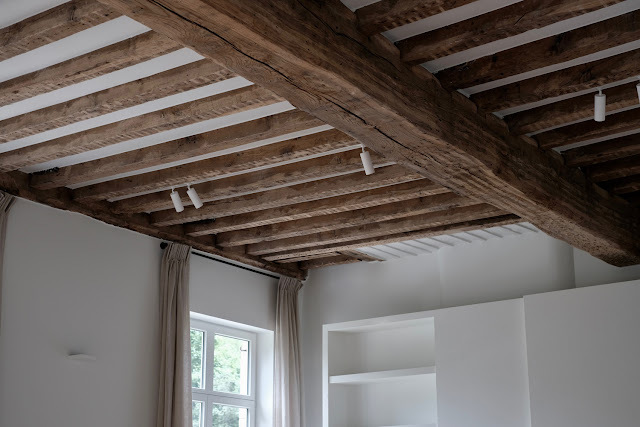 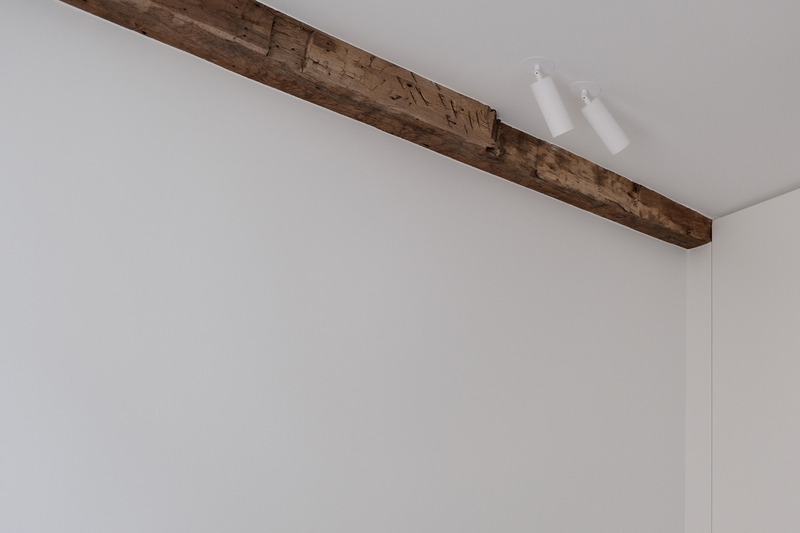 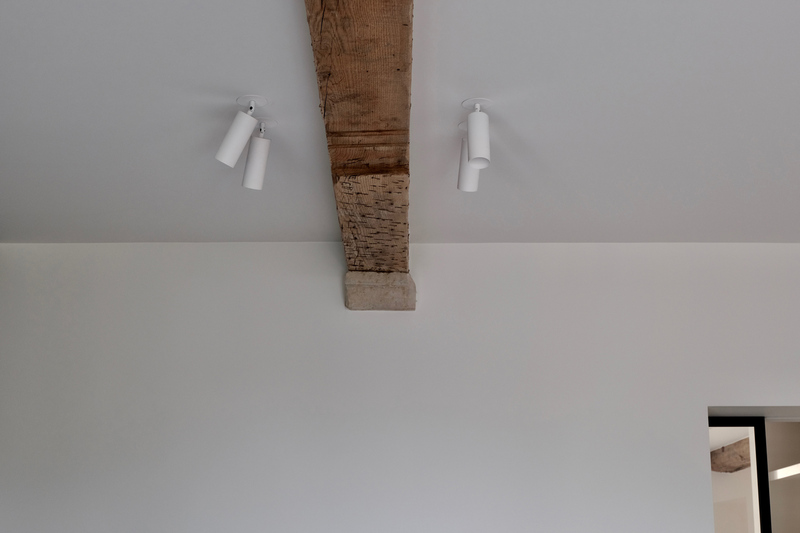 We exposed and restored the 18th century ceilings and carefully chose where to show the old beams and details. 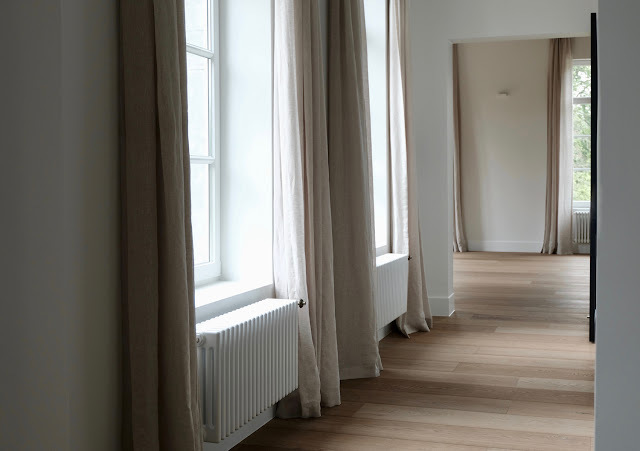 Classic traditional radiators, thoughtful lighting and wisely chosen fabrics give the spaces a perfect balance between old and new. 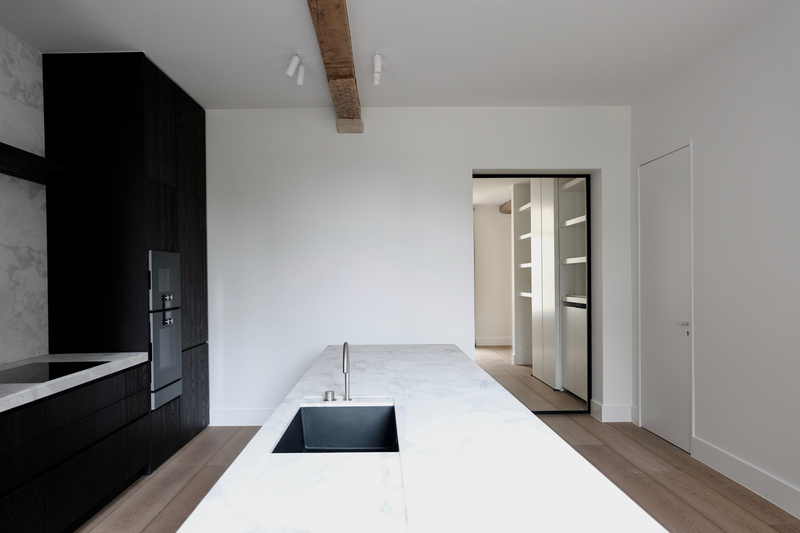 The owners love to cook which makes the kitchen the heart of the home. 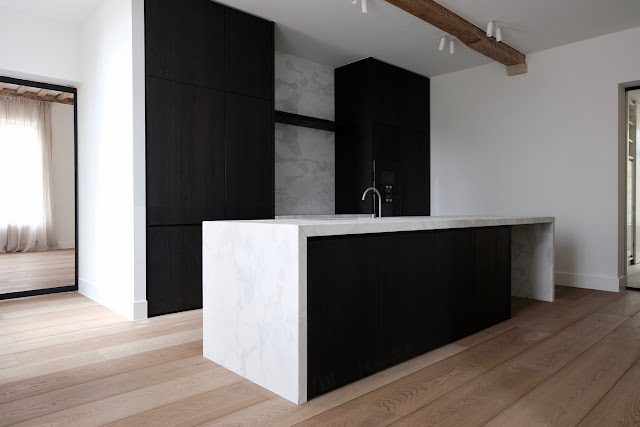 The dark stained oak cabinets make the large kitchen more intimate, and while cooking, you have a spectacular view over the castle gardens. 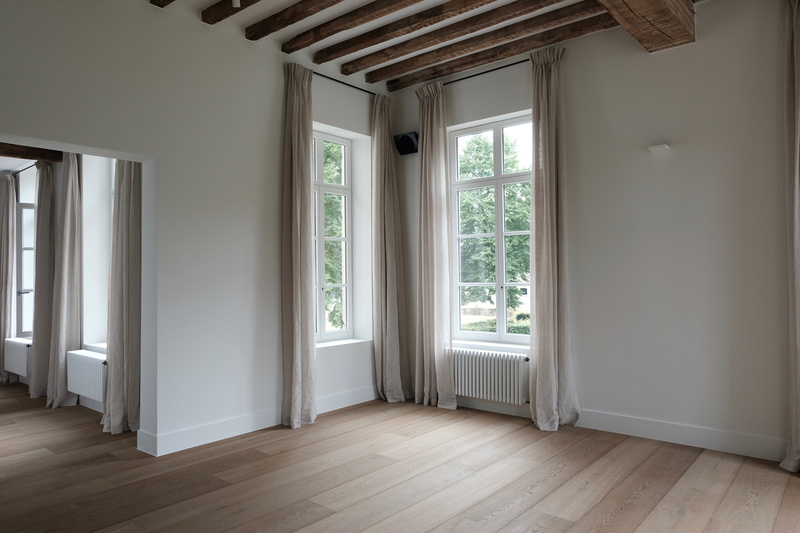 Talking about this view, the living room looks out over an amazing natural lake. 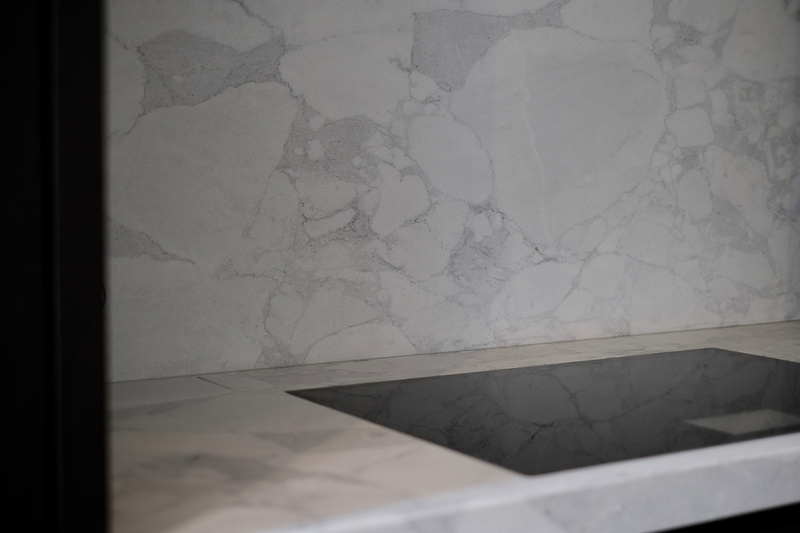 The surrounding nature is a gift you never seem to get tired of. 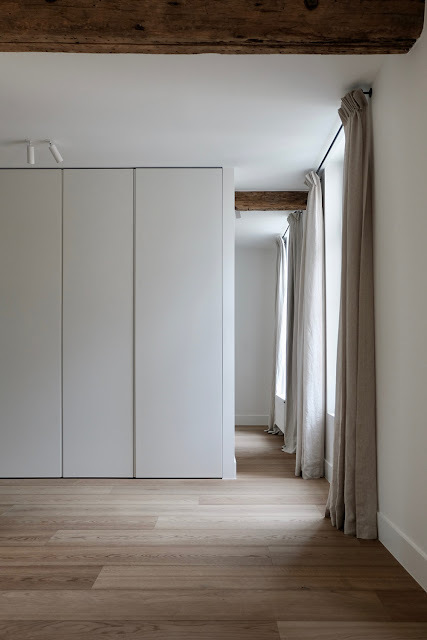 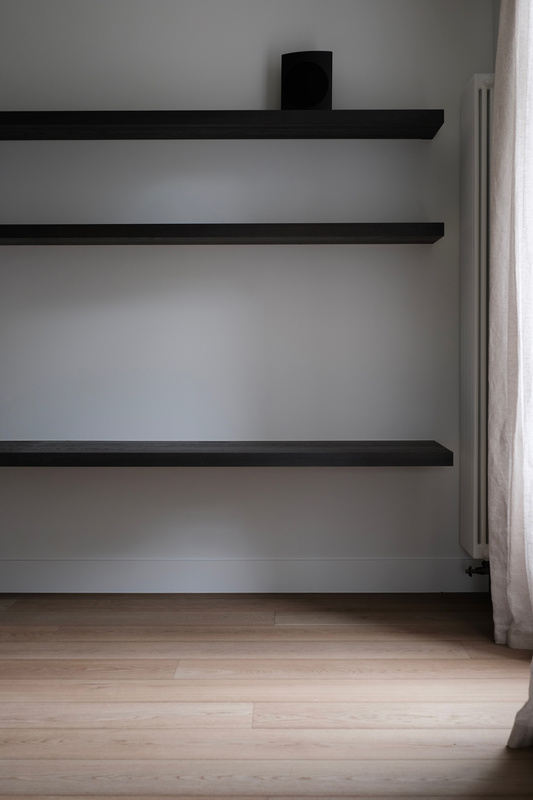 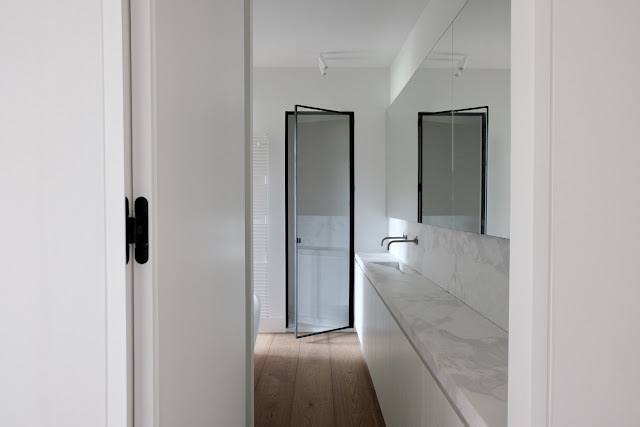 We thought deeply about the practicality of living in a series of light, open spaces and about the importance of built-in and hidden storage solutions. 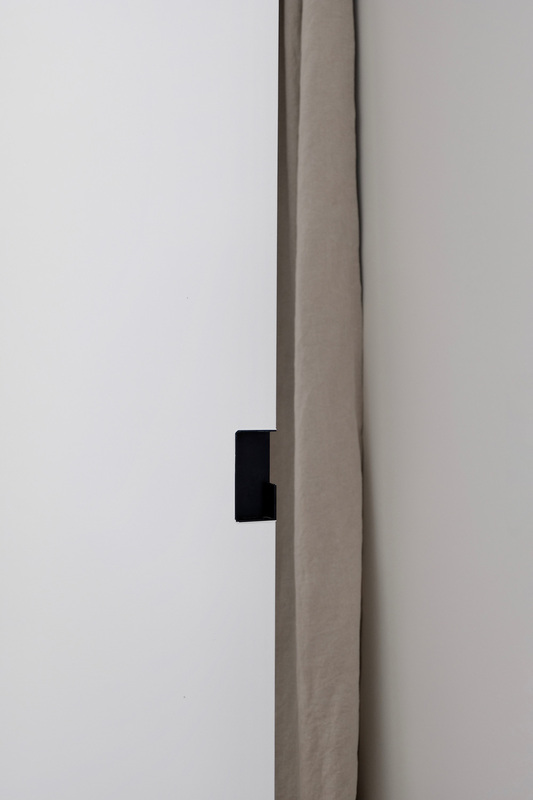 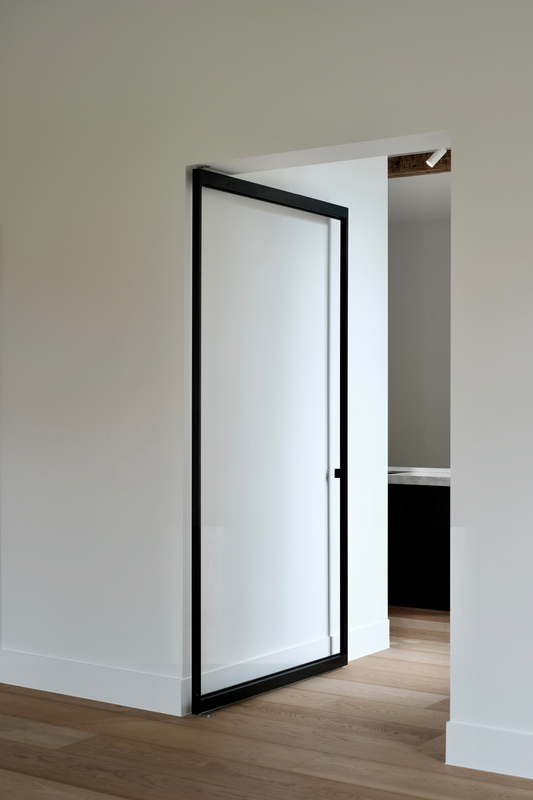 Sliding doors disappear in walls and doors are hidden in between built-in closets. Sometimes it even looks like the apartment has no doors, it creates an openness throughout the whole home, an intensely satisfying approach. 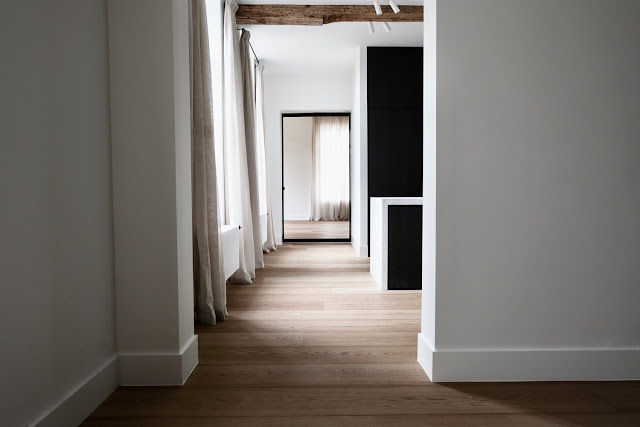 Nothing is ever as simple as it seems, this style requires a fine eye and instinct for balance.